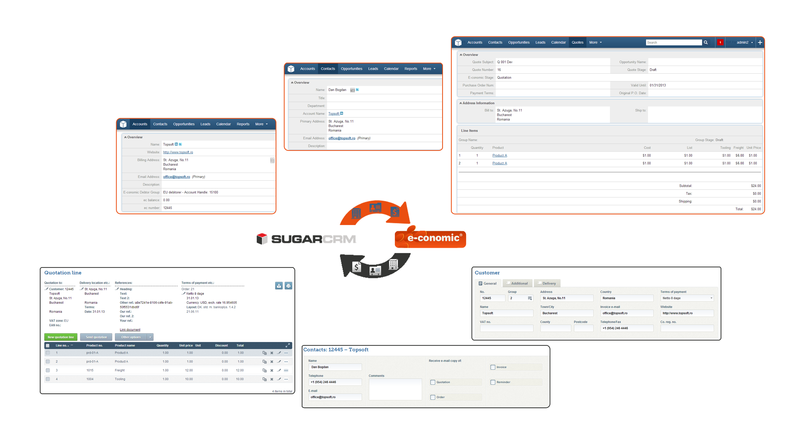 The SugarCRM – E-conomic connector is a software which executes a synchronization between SugarCRM and E-conomic, more precisely between the SugarCRM modules of Accounts, Contacts, Products and Quotes, and the E-conomic modules of Companies, Contacts, Products and Quotations / Orders / Invoices. The SugarCRM – E-conomic Connector does not execute a fully bidirectional synchronization between the two programs. Instead, from SugarCRM to E-conomic it synchronizes Sugar’s Accounts, Products, Contacts and Quotes into E-conomic’s Companies, Contacts, Products and Quotations / Orders / Invoices, while from E-conomic to SugarCRM it only synchronizes E-conomic’s Companies and Contacts with Sugar’s Accounts and Contacts. Step 1. Download the Sugar to E-conomic Sync Connector zip files. Step 2. Upload the files in SugarCRM Module Loader and install it. Step 3. Check the Administration module, in the bottom of the page you will find a new group titled “E-conomic”. In the “E-conomic Connector Settings” section you will have to insert the E-conomic Agreement Number, Username and Password. The E-conomic URL is the default URL to the API, and it can be edited if the URL of the API changes. The other two groups “SugarCRM to E-conomic Sync Settings” and “E-conomic to SugarCRM Sync Settings” allow you to select precisely the elements that you what to sync. When creating a new Account notice the extra E-conomic Panel and the E-conomic Debtor Group in it, which contains all the possible groups in which a debtor can be placed. E-conomic associated with it. If an associated debtor is found in E-conomic, then that debtor will be checked against the corresponding Account from SugarCRM, and any differences found will be correctly updated in the debtor. If there is no debtor associate, one will be created and marked in the SugarCRM Account. Also, the Account’s contact/s in SugarCRM will be checked against the corresponding Debtor’s contact/s in E-conomic, and any differences found will be correctly updated in the debtor contacts. In Product Catalog , a new panel was defined: Economic Panel, it contains all the possible groups in which a product can be placed in E-conomic (Product Groups). When creating a Quote, the field “E-conomic Stage” shows the state in which the quote is in E-conomic (it can be Quotation, Order, or an Invoice). Every product inserted in the Quote, must be first added in the Product Catalog. 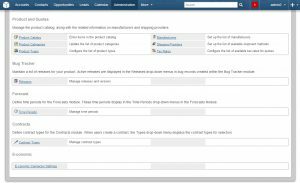 E-conomic Product Catalog and checked for modifications at every quote sync. If a record is associated to the quote, the record data and the products data will be updated if necessary . that can access the SugarCRM instance and work with the data on it. able to see the client’s posts directly on the related Sugar page. You can also see updates on SugarCRM and new modules on our Facebook page. SugarCRM continuously proves itself a leader in providing solutions for customer relationship management. The awards and acknowledgement it received from all over the world only depict how effective and efficient it is when it comes to ensuring client satisfaction and customer loyalty. SugarCRM combines technology, process and people to ensure that users maximize the opportunities they have. It is very easy to use as a platform for customer relationship management as it emphasizes helping every company in communicating with prospects, sharing sale leads and closing business deals. With all this, there is no wonder why SugarCRM is being used by thousands of successful companies to manage marketing, support and profits. It is an open-source solution that is also based on the web, making it customizable and adaptable to the changing needs of your business. Over 850,000 users in 30 countries place their full trust in what SugarCRM has to offer. Able to run on site or in the cloud, SugarCRM makes it ideal for start-up businesses, medium-sized firms or even government agencies or organizations. It chooses no business type or field line. Whether you belong to education, financial services, manufacturing, media, shipping, real estate or telecommunications, as long as it is applicable, it can offer great benefits and advantages for users. CRM is always made simple. In fact, you can test this product for FREE. You can visit the site www.sugarcrm.com for more details. The site offers a complimentary 7 Day Trial to allow you to test drive SugarCRM with preloaded test users/data. This trial gives you the chance to see how information is presented by Sugar without doing a lot of efforts by showing you enough demonstration data and pre-existing personas. It also represents how support, marketing and sales management are associated with CRM. What is more is that you can use your own personal computer or mobile phone to access this free trial. But you have to make sure that you bookmark the unique URL that will be given so you can have your own access. SugarCRM has robust capabilities for mobile use. In fact, it can run on Android, iPhone, iPad and Blackberry. With the rampant use of social networking sites, it integrates Twitter, Facebook and Linkedin into the services that it offers. Moreover, this CRM solution does not limit itself to customer service. It is designed for team collaboration as well. A variety of collaboration features that range from GoogleDocs, LotusLive, GoToMeeting to WebEx are also available. The best thing about SugarCRM is that it allows businesses to recognize their best customers and potential clients. Realizing that empowers you to concentrate more on your marketing and sales accurately while retaining the loyalty that each of your clients has. There is no doubt that this open source software is designed to strengthen customer relationship management by improving the services and products being offered. But SugarCRM does not limit itself to improving customer service. The features that it has also include efficient team collaboration and effective marketing strategies. The main goal of the software is to value every customer that a business can have by letting them feel they are close to the organization. With Sugar, relationships with business partners are boosted so that that each party brings solidarity and good communication. You can integrate this CRM solution to outside parties which you think have the best measures in tracking customer retention as well as business performance. More than that, it is very surprising to discover that SugarCRM simplifies tasks and control business complexities by making procedures easy and manageable. 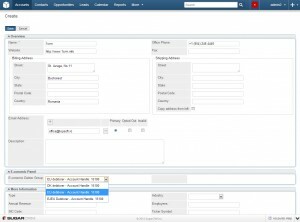 With the use of this powerful CRM system, streamlining of workflow processes is never impossible. Using this open source software is made easy. In fact, appropriate procedures and training can be provided by service providers and other SugarCRM partners to help users effectively understand the way it should be utilized for customer relationship management. Plus, service providers can offer you insights on how to determine the decision making and preferences of customers. With integrated business processes, the delivery of a seamless and unforgettable customer experience is assured. One of the aspects that SugarCRM guarantees is that all concerns, complaints and inquiries are immediately addressed once they are raised. There is no way for this CRM solution provider to neglect what its users need to get satisfaction from the services it provides. Collaboration across departments and partners is left undisturbed by any possible challenges that a business may encounter. With its ability to boost user adoption, sales personnel are always in good communication with updated data on the workflow processes. Moreover, integration with Enterprise Resource Planning (ERP) is made very easy for the management team to initiate business planning and objectives. The deep capabilities of SugarCRM to promote business and customer growth make it a leading provider of customer relationship management solutions in the world. With Sugar, all business requirements are always fulfilled. SugarCRM has been through dramatic changes and its versions keep on maintaining the excitement that all users have. The updates in the Sugar software offer new features and capabilities to meet the growing demand of businesses and organizations. The only thing you have to do in orderto be updated on these new functionalities is to upgrade the software. Here are the steps on how to upgrade the SugarCRM software for Community Edition (CE). Updating the Sugar software can take many points to consider, and the most important thing that you should always remember before doing this process is to have a back-up for all your files, records and other important customer information in the database. There is a tendency that you may lose all your data unexpectedly for unknown reason. So it is better to be prepared or else, your update would end up useless. 1. First, you would need to download the patch file in order to get started. 2. 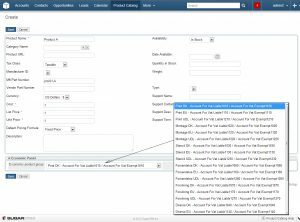 Log in on your SugarCRM CE account with your username and password. 3. Go to the like for Admin and look for Upgrade Wizard then click on it. 4. Go to the System Check and follow the required steps whenever you are asked to upgrade your downloaded patch file. 6. You can then return to the page for Admin by clicking on the link and navigate the settings in the Repair option. 7. For a fast process, click on Quick Repair and rebuild button, and there you have your upgraded SugarCRM CE. 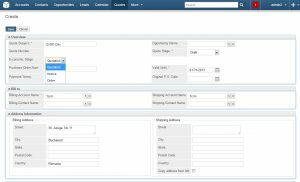 As you see, SugarCRM makes it very easy for every user to configure and specify the settings to meet their business requirements. All processes are simplified for great user experience. The upgrade process is a very easy action, and acquiring all new features of the Sugar software is always made possible. How to choose CRM-system for your business?